This is a free concert for familys and their children to enjoy! 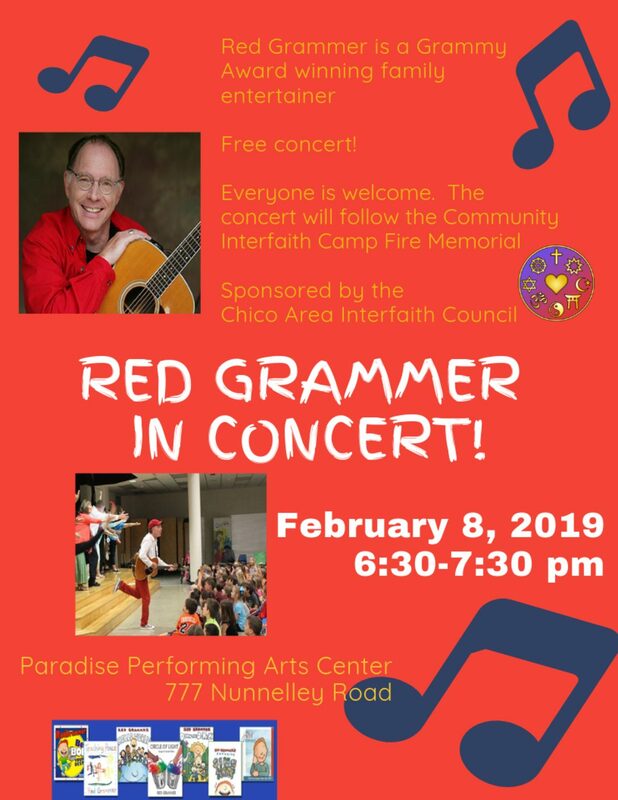 Featuring Red Grammer, a Grammy Award winning family entertainer! Everyone is welcomed! The concert will follow the Community Interfaith Campfire Memorial. Sponsored by the Chico Interfaith Council.